You’ve probably already heard that breakfast is the most important meal of the day. This is because it kick starts your metabolism and fuels your body for the rest of the day. However, many people still choose not to eat breakfast or make unhealthy meal options. This leaves them feeling fatigued, fat and sick and can lead to increased sugar and caffeine cravings throughout the day. If you suffer from an inflammatory disease, these cravings can make your condition worse. That’s why it’s a good idea to eat a quick on-the-go smoothie before heading off to work. While you’re at it, try adding these anti-inflammatory foods to your smoothie to keep you energized throughout the day. Flaxseed has been cultivated for the last 5000 years. It’s known to reduce your risk of heart disease, lung disease, cancer, stroke, and diabetes. It’s high in soluble and insoluble fiber, which reduce both your blood sugar and cholesterol levels (1). Flaxseeds also contain ALA and lignans, which reduce inflammation by helping block the release of certain pro-inflammatory agents. Simply take 1/2 tbsp. daily. These little seeds are the highest source of vegan Omega 3’s, which natural fight inflammation while supporting heart and brain health by decreasing your risk of thrombosis and arrhythmia. They’re also full of protein, fiber, antioxidants, magnesium, zinc, iron and calcium (2,3). To use, soak chia seeds in water overnight and add 1/4 tbsp per cup of smoothie. These seeds are full of healthy fats, including the essential fatty acids linoleic acid and alpha-linolenic acid, which promote cell growth and nerve, muscle, and organ health. They can also heal many skin conditions. Plus, hemp contains gamma-linolenic acid, an anti-inflammatory compound that promotes heart health (4,5). Just add half a tablespoon to your brekafast for extra protein and brain-healthy fats. Moringa is used in Ayurvedic medicine to treat over 300 diseases. It’s full of powerful antioxidants like vitamin C, beta-carotene, quercetin, and chlorogenic acid. Its sothiocyanates, flavonoids, and phenolic acids work together to fight inflammation while its protein, calcium and potassium keep your tissues healthy. To get the most out of this healing food, use 1-2 tsp. per 3-4 cups of smoothie(6,7,8). Spirulina is a microalgae with hypolipidemic, antioxidant and anti-inflammatory properties. The chlorophyll-packed food contains loads of vitamins (including B12! ), minerals, essential fatty acids, amino acids and other nutrients (10). Plus, it doesn’t have much of a flavor, unlike other sea vegetables. Simply add a teaspoon to your breakfast shake before blending. Aloe gel is found inside the leaves. It’s often taken to treat osteoarthritis, bowel diseases, fever, itching and inflammation, as well as stomach ulcers, diabetes and asthma. It also increases circulation, fights fungi and bacteria and promotes wound healing (11). For best results, take 1/4 tablespoon 1-2 times a week. These berries are richer in DNA-protecting antioxidants than cranberries, raspberries, blackberries, strawberries, or blueberries. It ‘s most well known for lowering cholesterol, preventing cardiovascular disease, healing allergies, and for cancer treatment (12,13). 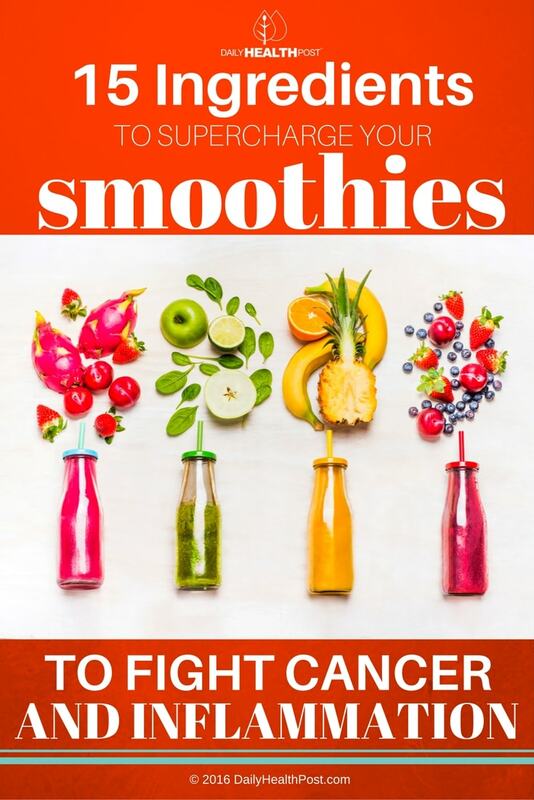 It’s powerful enough to induce apoptosis in cancer cells and prevent tumor proliferation. To use, add ½ teaspoon in your juice or smoothie. Maca is a peruvian root vegetable traditionally used to treat chronic fatigue, anemia and for improving stamina, memory and fertility. Its fatty acids and amino acids are said to improve joint health(14). In fact, a study published in the BMC Complementary and Alternative Medicine found that a herbal supplement consisting of maca and the herb cat’s claw improved osteoarthritis pain just as effectively as glucosamine sulfate (15). Take 1/4 teaspoon in your smoothie every morning. This yummy winter fruit is full of kidney-friendly potassium. 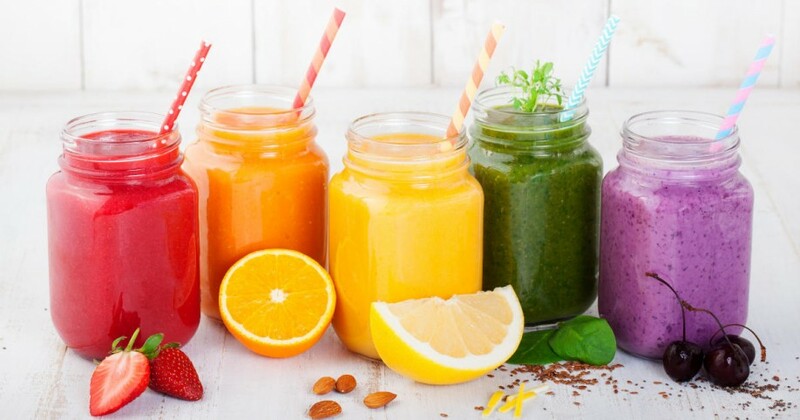 The juice also fight cardiovascular problems, dental plaque, high blood pressure, obesity and prostate cancer. Additionally, pomegranates contain punicalagin, an anti-inflammatory compound that fights Alzheimer’s disease (16). All you need is 1/4 cup per cup of liquid breakfast your prepare! Kefir and kombucha are made with yeast and bacteria that ferment in yogurt, milk or water (for kefir) and tea (for kombucha). Both contain anti-inflammatory probiotics that feed good gut bacteria and boost immunity (17). These drinks also improve symptoms of psoriasis, chronic fatigue, abdominal discomfort and bloating (18). Drink it straight or hide a few tablespoon in your favorite breakfast shake. High in antioxidants, vitamin B, minerals, fiber and carbohydrates, lucuma is a true superfood. It has a low Glycemic index and helps stabilize blood sugar, making it a great sweetener option for diabetics. Its anti-inflammatory, antibiotic and antimicrobial properties effects promote wound healing and prevent tissue aging (19). Limit your daily intake to 1/2 tablespoon. Bee pollen is collected from plants to feed young honeybees. It’s considered a powerful health food believed to fight cancer, aging, infertility and allergies. Its anti-inflammatory properties can also help treat arthritis and other chronic conditions (20). Purchase at your local natural health food store and use ½ teaspoon daily. Ginger prevents and treats pain and stiffness in knee joints in patients with osteoarthritis in a similar way to nonsteroidal anti-inflammatory drugs (21). On the other hand, turmeric contains curcumin, a powerful anti-inflammatory that helps heal arthritis naturally (22). Mix 1/2 teaspoon of each spice in either powdered or grated root in your tea or smoothie.